Terri writes: Whenever I go to take a photo on my iPhone, little green and blue squares start popping up on the screen. What’s going on? Am I supposed to do anything? Hi Terri! Yep, those pulsing green and blue boxes that appear in the iPhone’s camera viewfinder can be confusing, particularly when you’re trying to squeeze off a quick shot. But don’t worry—they come in peace. The iPhone camera can detect up to 10 faces in one shot, and as it does, it tries its best to focus the lens and adjust the exposure so the faces look as sharp and bright as possible. Tap anywhere on the screen to change the focal point and exposure for your snapshot. Meanwhile, the blue square shows you the spot that the iPhone’s camera is trying to keep in focus and properly exposed, assuming there are no faces to zero-in on. 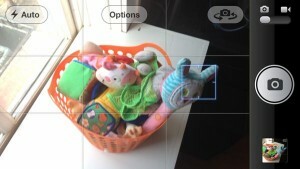 Generally speaking, your iPhone will try to focus the lens in the middle of the frame. Want to focus on something in the foreground or background instead? Just tap the screen to change the camera’s focal point. When you do, the pulsing blue square will jump to the spot in the viewfinder that you tapped, and you’ll see the image go fuzzy and then sharpen as the camera lens focuses itself. Hope that helps, Terri. Still have questions? Let me know! Normally, the iPhone camera’s auto-focus and auto-exposure features work overtime to keep your photos sharp and well-lit. Want to take matters into your own hands? If so, you can lock the focus and exposure settings by tapping and holding a spot on the screen. When you do, the little blue square will pulse, and a message that reads “AE/AF Lock” will appear at the bottom of the screen. 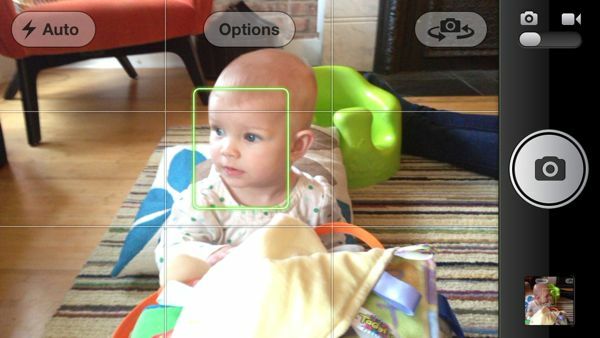 Reader mail: Better camera apps for the iPhone?